I didn’t have time to go through and parse the data a bunch of different ways, but as I scanned through the list of countries I didn’t immediately see a relationship between the number of steps it took to buy a gun and two important negative outcomes in society: homicide and suicide. Is there a patterned relationship between the number of steps someone has to go through to buy a gun in these 15 countries and the countries’ overall rates of homicide and suicide? Homicide rates are weakly related to the number of steps it takes to buy a gun in these 15 countries. The polynomial trendline increases through the middle of the range then decreases at the high end (Japan), but the correlation is weak (0.071). The relationship between suicide rates and the number of steps it takes to buy a gun is slightly stronger (0.085), but still weak and not in the direction suicide prevention advocates would like. The polynomial trendline increases fairly consistently through the range then jumps up somewhat at the end (again, Japan). Looking at the combined rate of homicide and suicide, we see a still stronger though still weak correlation (0.123) with steps to buy a gun, with the polynomial trendline starting at the United States (2 steps and 14.58 combined rate) and arcing its way upward and leveling off toward Japan (13 steps and 18.71 combined rate). In between you can find two countries with 8 steps but dramatically different death rates by homicide and suicide (Austria’s 12.61 rate and Brazil’s 32.34 rate). Ditto for 7 steps: Germany 9.95 combined rate vs. Russia’s 45.91 combined rate. The closest countries to the United States are Austria (8 steps, 12.61 combined rate) and Yemen (2 steps, 16.67 combined rate). If others parse the New York Times “How to Buy a Gun” data other ways, please let me know and I’m happy to post additional results. *NOTE: I almost always use OVERALL rates of homicide and suicide rather than rates of FIREARMS homicide and suicide because I am concerned about everyone who dies these ways not just those whose mechanism of death is firearms. This also takes into account the reality of substitution — if people can’t use guns they may just use some other mechanism to kill others or themselves. And it highlights the possibility that the same socio-cultural dynamics which permit the government to restrict access to firearms may also entail other pathologies which many do not find an acceptable trade-off (thinking of South Korea, for example, here – #148 gun ownership rate internationally, 0.74 homicide rate, and #2 global suicide rate). If you’re interested, the underlying data and sources I’ve used are available as a Google Sheet. Tags: Data, Gun Ownership, homicide rates, New York Times, Suicide. Bookmark the permalink. Previous post ← Is Arming Yourself a Rational Response to a Mass Public Shooting? What it basically says is that if you don’t live in Brazil, Russia, or S. Africa, the number of steps is not correlated to the death rate. I’m not entirely surprised as one would expect a lot of other things to matter, as it seems to on the microscale in places like Chicago, where the precinct homicide rate varies by two orders of magnitude at constant gun laws. The article is a bit of question-begging, as if people are supposed to think it matters but the Times never analyzes it. I think it’s interesting to look at the different processes for legally acquiring a firearm across different countries. What’s not interesting is what you said, that there is supposed to be some obvious conclusion drawn from it. Like my sociologist friend said, notice the pattern? In fact I didn’t notice a pattern and there’s not a pattern except as younsaid the lack of a relationship. With correlation coefficients around 0.1 or less, its a nothingburger. I suspect even a casual study of Russia, S.Africa, and Brazil would indicate the social/political reasons why people are snuffing themselves and each other out. 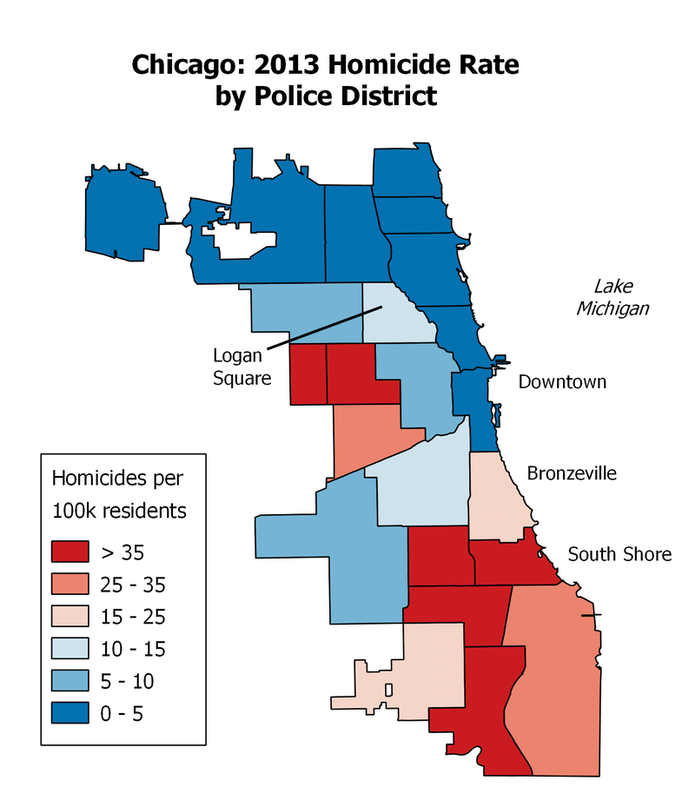 Like Chi-raq, there are other axes/principle components that should be on that chart. I am not one of those 2A absolutists who don’t think we should be trying to improve things here, but it rubs me the wrong way when stuff gets tossed out to readers half-baked in a good newspaper. I know it’s my broken-record bete noir, but any sort of snapshot analysis like this can’t actually tell us anything useful about how the given laws themselves relate to social harm, even if a meaningful correlation is found. To show the law actually actually correlates to social harm levels, as opposed to being merely coincidental, you have to show stat sig change in the rate trends from prior to the imposition of the law. To, with intellectual integrity, claim a causal link you also have to be able to demonstrate some reasonably direct mechanical connection between the structure of the law and the given change in behavior.